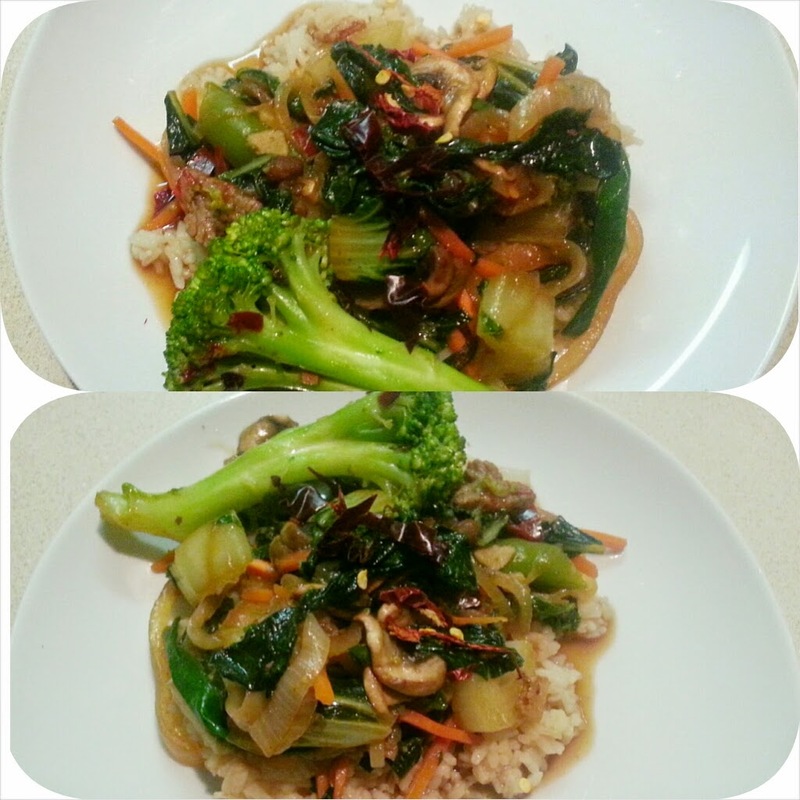 It's no secret that I love to cook healthy dishes for my family. In fact, it's more of an obsession. I visit the grocery store five days a week. I stay for hours at a time. I'm thrilled when my family gives my meals their stamp of approval. 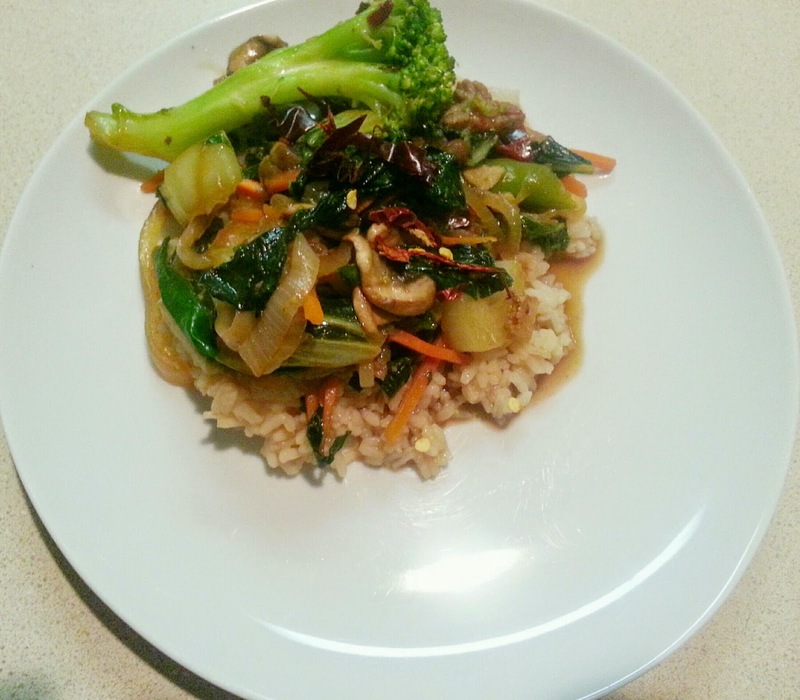 I came up with this recipe strictly based on the our favorite stir-fry vegetables, and the flavors that we like here in my home. This particular recipe garners a standing ovation at the dinner table each time I serve it. I only cook my vegetables for a short time, as we like our veggies crisp, as opposed to soggy/soft. I use all fresh, organic vegetables in my stir-fry. I prefer to use my wok when preparing stir-fry, but don't be discouraged if you don't have one, as I'm certain the taste will be the same. To begin, wash all vegetables and meat. Seed, slice and chop all vegetables. Be sure to keep meat and vegetables separate and to cut on separate surfaces as to avoid cross-contamination. Add steak to heated wok or pan. Saute' steak and set aside. Add more oil to wok/pan, then add and sauté garlic, & after a few mins, add & onion & sauté. Begin to cook rice in a saucepan. Add a few shakes of soy sauce to rice. Lastly, add Kikkoman Stir-Fry Sauce, (to your taste), Lee Kum Kee Black Bean Sauce, Polar Fish Sauce, and Polar Hoisin Sauce. I only add a few shakes of each. I use this to my taste. Feel free to add as much, or as little as you like. Allow oil to heat before adding food. Use wooden utensils to cook your stir-fry if possible. Add a few shakes of soy sauce to your rice after cooking, before fluffing. Enjoy this meal, and please give me feedback!